MiniLUK is a play and learn system to improve critical learning and thinking skills such as visual perception, concentration, critical thinking, knowledge reinforcement and math & geometry. 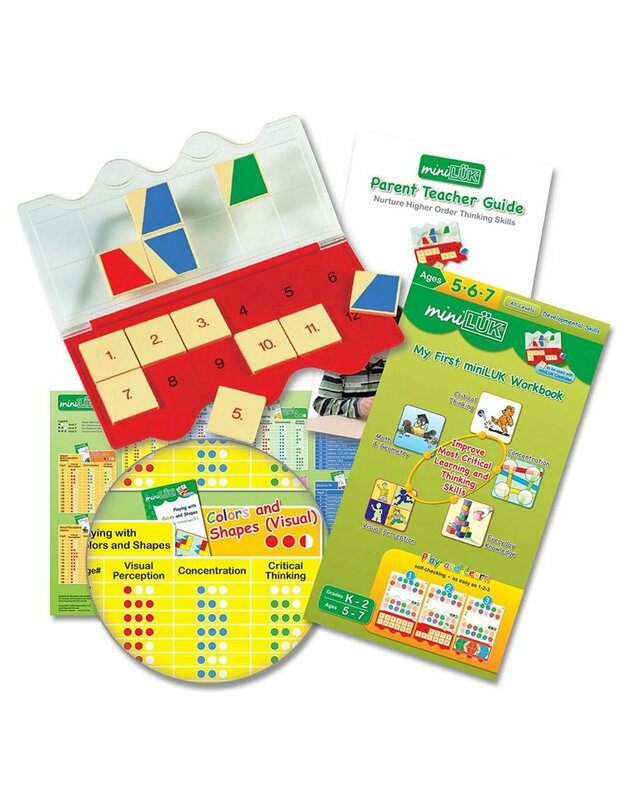 It features an easy to use 12-tile controller with self-checking design and a series of well illustrated workbooks focusing on various developmental skills. Start the enjoyable learning experience with miniLUK system. The package includes: * miniLUK Controller - necessary for use with all miniLUK workbooks * My First miniLUK Workbook - 168 exercises provide an overview of the entire miniLUK series * Parent Teacher Guide - complete reference to maximize children's learning using miniLUK * miniLUK Skills Chart - detailed rating levels for every exercise in this series * Free access to additional parent/teacher resources including DIY templates to design your own exercises.